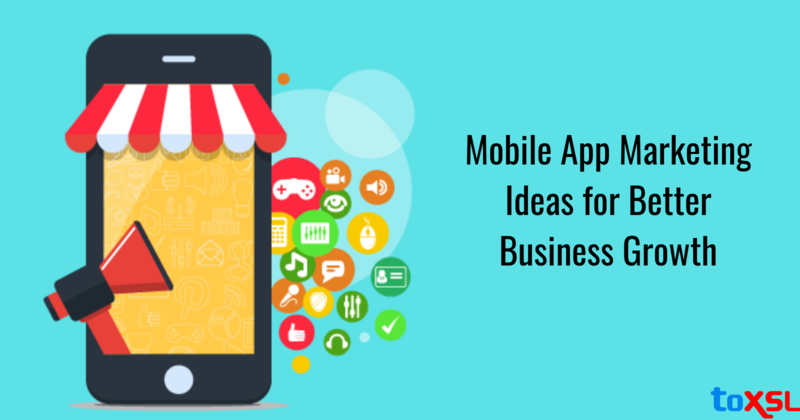 Is your mobile application set out in the market? Gaining a good customer response? Good enough! The hard work you had put in, the late night struggles have finally shown up. But wait. Does your job end here? Getting your app live and sitting ideal while waiting for customers to reach your business? Some of you would say yes that you are done on your part. But you are wrong. Setting your app live is just the first stair to your business growth. There are several other things you need to consider including marketing.no matter how appealing your app is, if you aren't marketing your product the right way, you stand nowhere in the market. Why businesses need mobile app marketing? Mobile app marketing is basically the act of spreading consciousness of your mobile application, gaining clients and supporting clients all through their client venture. The point is to recognize and target the perfect clients of your application, at that point convince them to download and ceaselessly draw in with your application after some time. As more and more people are switching to mobile phones, and as predicted, there will be around 2.87 billion smartphone users by the year 2020. And with this increase, the mobile app development sector will grow rapidly where every moment a new app will be released. So, in this competitive world, it becomes necessary that you either have a unique app or you know some smart marketing tips. So, here are a few marketing strategies which can assist you to promote your online business. Design and Define your Homepage: Landing pages are the ideal tools to rouse a person to explore your site or an application store to download the application. Structure and assemble your landing page before you release your application. Guest Blogging: Once you are done with your app, you must now plan a content strategy. You must start guest blogging and share your latest updates in order to reach your target audience. It's not necessary that your blogs are promotional, but frame them in a way that the users read and reach your application. Use Social Media: You simply can't ignore the power of social media platforms. It is the best tool which can influence the audience and gain their attention quickly. You can go live on Facebook, share the latest updates, use hashtags, make infographics, and connect with a wider audience. Gather App Reviews: You can ask for reviews from your users in the blog sections. Moreover, you can go for Youtube channels where you can post videos of using the application modules and make them aware of how to use the application modules. In this way, the potential users will soon become your permanent customers. Email Marketing: Email marketing platform is an ideal way to promote your brand name to a wider audience, share your product updates, share upcoming features and events, and even share the deals & discounts. Build a Community: You need to build a strong community in order to attain a good customer base. You must ask your previous customers to share their feedback and reviews about which features they loved the most and in which they are seeking modifications. Moreover, you can add the customers in your Facebook groups, and forums as well. Approach with a Video: You can make explainer videos to attain more attention of the customers as customers easily get attracted to videos instead of reading long content. You can create attractive videos about your app benefits and explaining the proper functioning of the complete modules. By now, you would have surely understood that only developing an app is just not enough, you need to put more focus upon the marketing aspects as well. And for the success of your app, you must look up for a mobile app development company which can cater to all your website requirements. Have any queries? Get in touch with us.